Jay Self predicts that genetic tests for people with nystagmus are just a few years away. Nystagmus is an eye problem characterized by uncontrolled, to-and-fro eye movements. The movements can be vertical, horizontal, rotatory or a combination of all three. Many variations exist and it should never be ignored. It is associated with many different underlying conditions or can be seemingly isolated. Some people are born with it and for others it comes on later in life. Most people will undergo many examinations and investigations but still, for around 50 per cent of children with nystagmus, no cause is found. What treatments are available for Nystagmus? Unfortunately, there are not many good treatments for nystagmus. For some specific types, medicines can help and surgery can be used to improve certain features, but for most, little treatment exists. This is partly because, for most forms of nystagmus, we are still trying to understand what actually causes the abnormal movements. Genetic testing for nystagmus is tricky. Genetic testing is good at diagnosing conditions where the cause is an error in one, known gene. However, for nystagmus, because so many conditions can look so similar, even after lots of examinations and tests, the question is….Which genes do we test? There are 28,000 of them! For patients with retinal problems and nystagmus we could test some retinal genes. For patients with balance problems and nystagmus we could test some balance genes. For these specific scenarios, we already have targeted gene-testing panels (single tests looking at hundreds of genes at the same time). But for most children with nystagmus, there is no sign of problems with the retina or with balance. So what do we test then? How is genetic testing changing? Research groups are now trying to develop targeted gene-testing panels specifically for nystagmus. This would include looking at hundreds of genes, which are known to cause apparently isolated nystagmus in children. The key question is still, which genes to include? Excitingly, because of the power of modern genetic testing, another possibility is to it look at EVERY known gene for an individual (Exome testing). In fact, we can even study every single letter in the genetic code of an individual, not just the genes (Genome testing). These powerful new technologies and gene panels are being used more and more in research studies and initiatives such as the 100,000 Genomes project run by Genomics England. These projects allow us to compare genetic data from many individuals and tease out which genes, when faulty can cause nystagmus. This then helps us to design the most efficient ways of running, and analysing a genetic test in individual patients in the future. I would anticipate that in the next five years we will be performing genetic tests more routinely in patients with nystagmus and the first specific ‘nystagmus panels’ will be available on the NHS. However, just because they are ‘available’ does not mean each NHS facility will provide funding for them. This will likely take some time to work out. In addition, each genetic diagnosis allows researchers to refine the testing of future patients and to understand more about the reason why nystagmus occurs and identify new treatments. Additionally, it allows researchers to test possible treatments on groups of patients with the same underlying genetic causes, rather than a multitude of different conditions with similar looking nystagmus. Diagnosis is the cornerstone of modern medicine. We believe that it is key to meaningful improvements in medical care for patients with nystagmus. 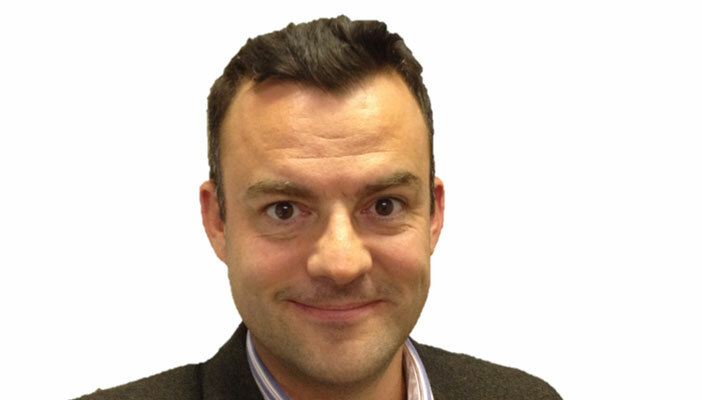 Jay Self is an Associate Professor and consultant ophthalmologist at Southampton General Hospital. He was a guest speaker at Nystagmus Network UK’s first clinical training day earlier this year.